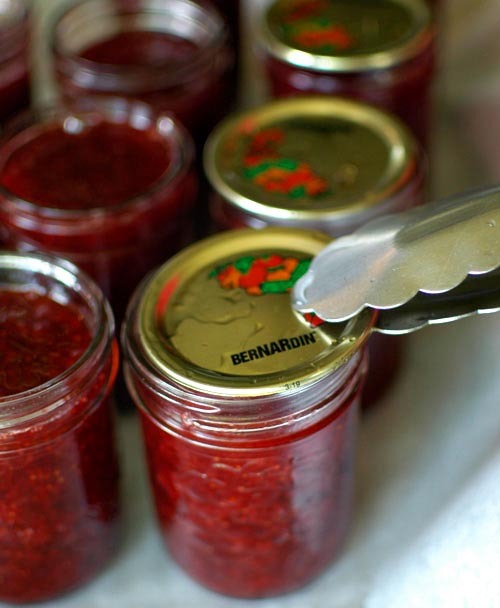 Learning how to make strawberry jam is one of the most rewarding life skills on the planet. Why? 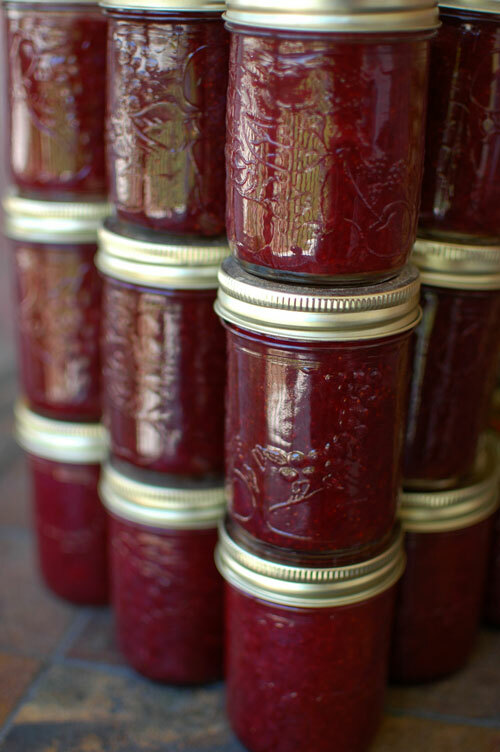 Homemade strawberry jam is nectar of the gods. Better than chocolate and almost as divine as my mother-in-law’s cherry cheesecake. It’s our second year making jam. And as far as we’re concerned, it will continue to be a summer ritual until we’re too feeble to stir. This year we headed out to a little farm in Amherstburg, Ontario that sells pick-your-own pesticide-free strawberries. We spent almost two hours there, hunched over the strawberry patch on a sweaty, overcast afternoon. The berries were little (not like the ‘frankenberries’ you buy in the supermarket that are almost as big as pears), but they were sweet and loaded with flavor. The night after berry picking, we hulled the berries. My husband and I worked together and it took about an hour to clean them and stem them. The next morning we set up a canning station in the kitchen. A Word of Caution: If you let your friends and family sample this stuff, be prepared to lock your cupboards. It’s that good. And if you are giving this to your wedding guests as wedding favors, don’t be offended if your guests list this as the highlight of your wedding. 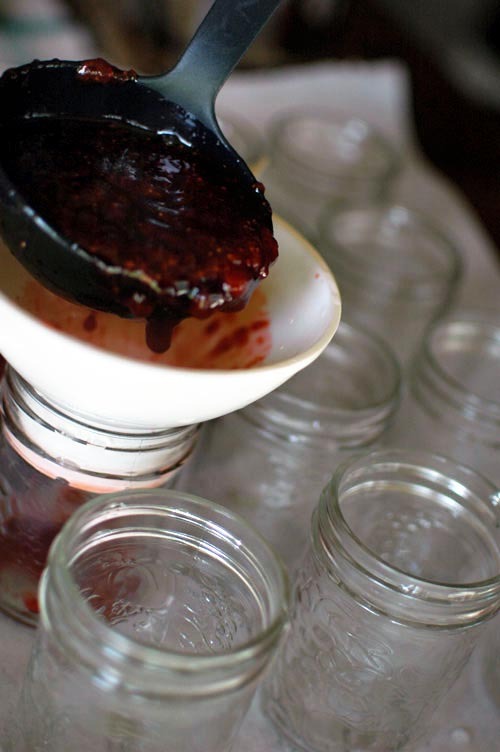 Update: 4/18/10 – How do you know if your jam is ready to pour into jars? 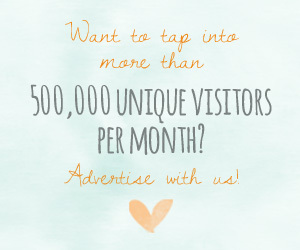 I had a few readers ask me this question. Simply keep a metal spoon in a glass of ice water. 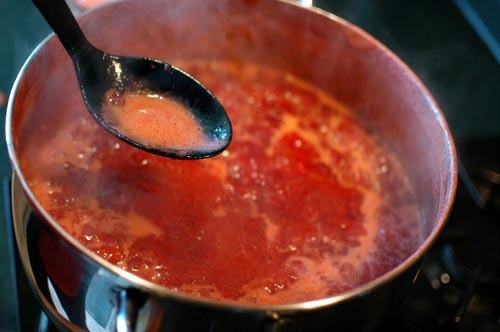 Take about a half of a spoonful of jam onto the cold spoon and let it cool to room temperature. If you like the consistency once it has reached this temperature then it’s ready to put into jars. If not, keep cookin! It took us five hours to make 29 250 ml jars, but we did it in three batches. (Not including cleaning and hulling the berries.) It would have taken less time if we would have had a bigger pot for larger batches. 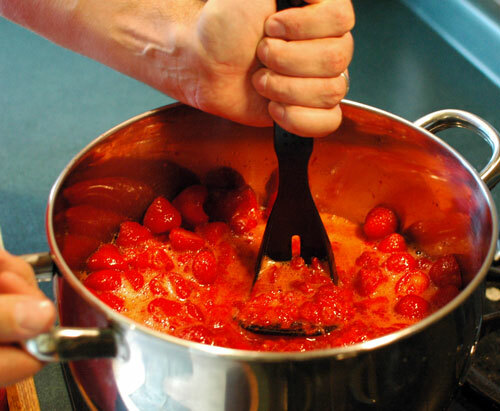 This recipe is a variation of the Classic Strawberry Jam Recipe from Foodtv.ca. or Ball Canning Jar 8 Oz. Regular Tongs for handling lids. Ladle for distributing jam into jars. Place required number of canning jars into a large pot. If you are making wedding favors you’ll probably want to use the 125 ml jars or the 250 ml jars if you are feeling especially generous. 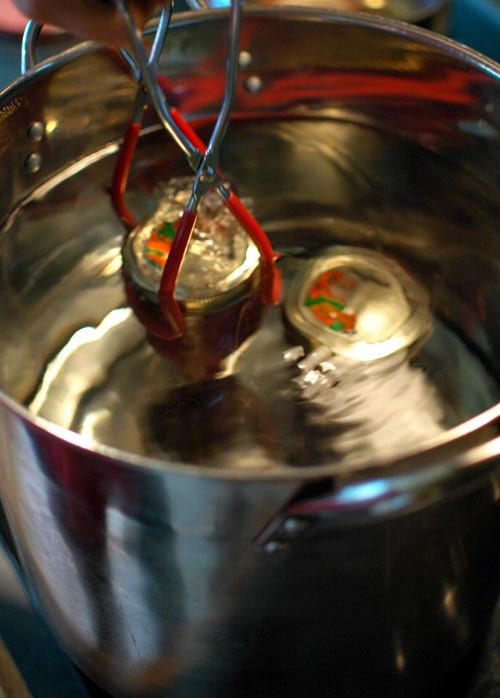 Cover jars with water and bring to a low, rolling boil. Keep jars hot until ready to use. 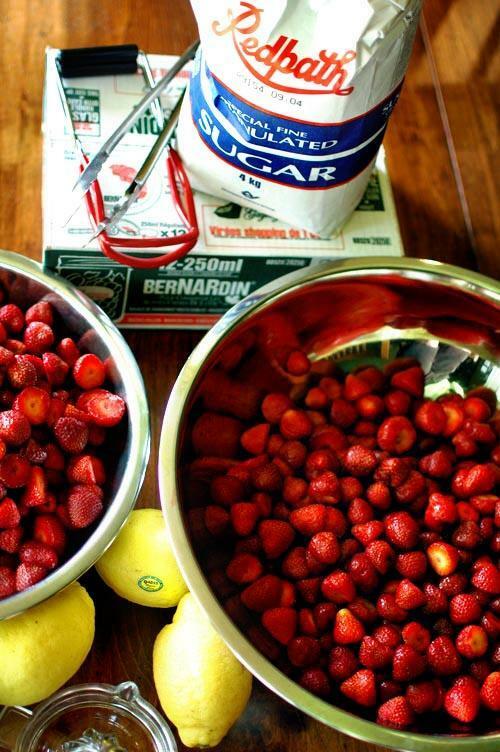 Add sugar and lemon juice. I used an old fashioned hand juicer and squeezed real lemons (organic) for the juice. Make sure to pour the juice through a strainer if using real lemon juice. 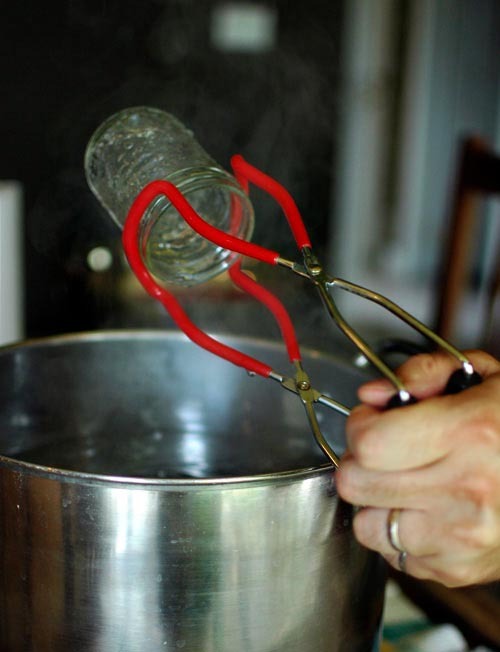 Remove jars from boiling water with canning tongs. Place canning funnel into sterilized jar. 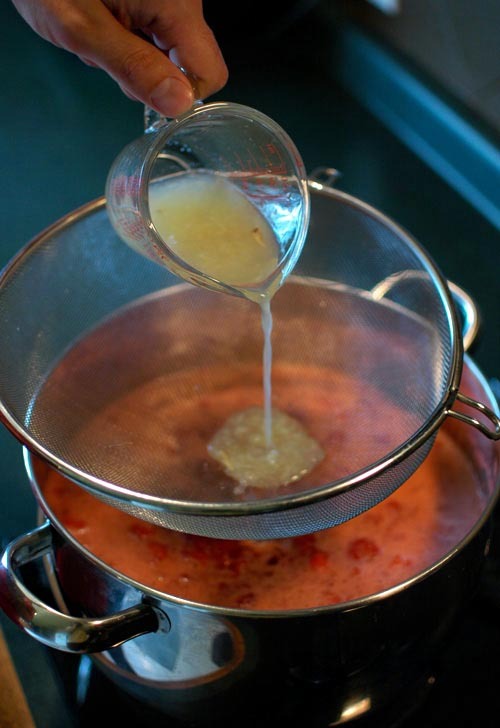 Ladle jam into hot jar leaving proper ‘head space’, which is the space at the top of the jar between the underside of the lid and the top of the jam. For jam it’s ¼ inch. Overfilling and underfilling can result in a jar that does not seal properly. Wipe jar removing any stickiness with paper towel. 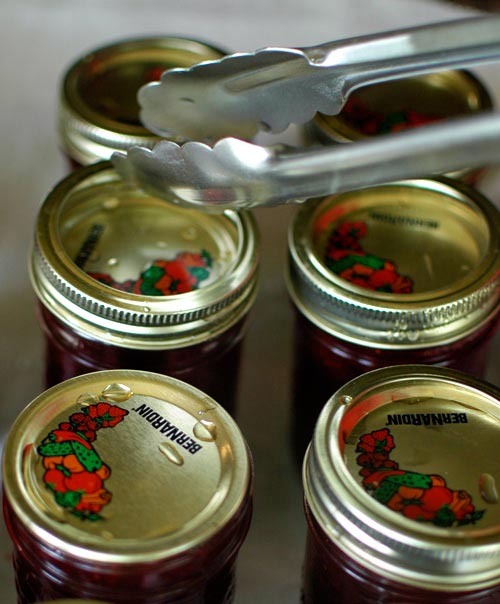 Using tongs, place lids on jars. Using tongs, set screw bands on jars. Evenly and firmly screw them on until resistance is met and they are fingertip tight. 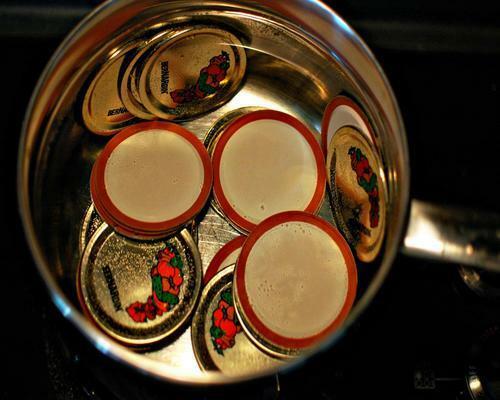 Place sealed jars into boiling water for 15 minutes. 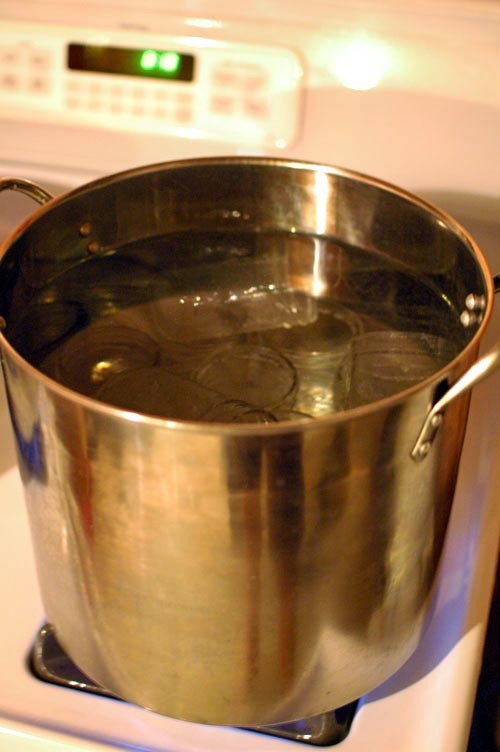 Be sure water covers jars by at least 1 inch (2.5 cm); add boiling water if required. Remove from water and listen for the ‘pop’ of the jar lids. (I swear, that ‘pop’ is music to my ears!) This means they are sealed. 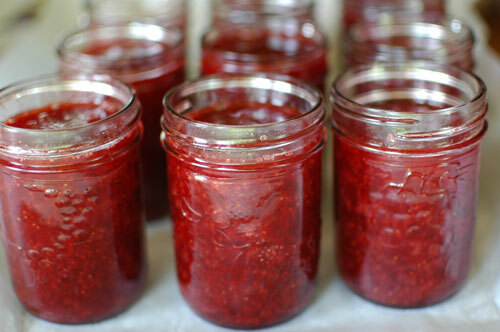 As one canner put it, the popping sound signifies the jam ‘sealing itself off to the outside world.’ Sometimes it can take several minutes for the popping sound. Check jar seals by pressing on centre of each lid. If the lid center is pulled down and does not move its got a good seal. If you’ve waited a few hours and the seal hasn’t popped, place jar in refrigerator. Voila! You did it. 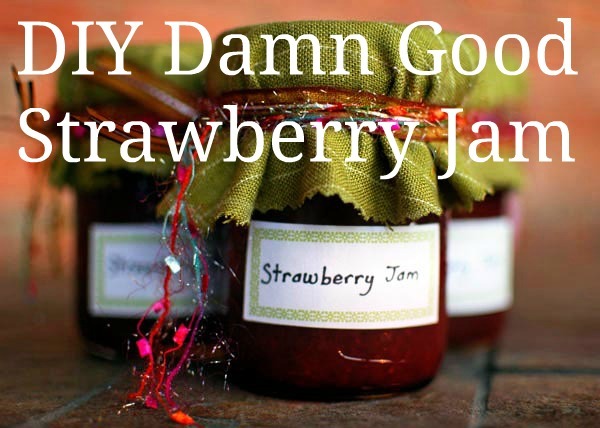 You made jam! 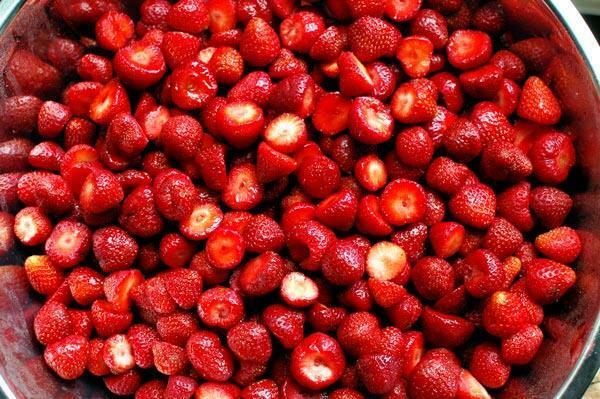 Now you can devour the fruits of your labour. 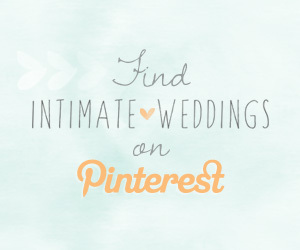 But don’t eat it all in one sitting – especially if you’ve made the jam for your wedding guests! To wrap, simple cut out a round piece of fabric with pinking shears. Make sure the piece is big enough to cover the sides. 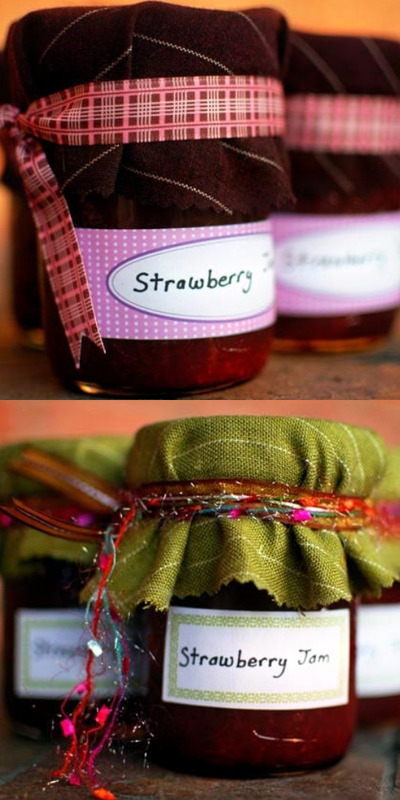 Use an elastic band to hold the fabric in place, and wrap a piece of ribbon to tie around the jar. 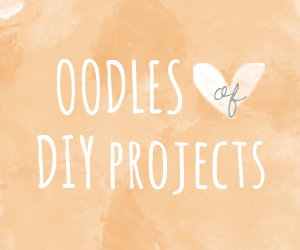 I used free printable labels for my jars which I found on IDIY. I wrote Strawberry Jam by hand with a permanent felt tip marker.